Get a 3 ring binder or at least a folder or notebook to keep all your records and notes in. Any time ANY information is sent to you, it should go into your folder. Keep notes in your binder / folder of all the registries you have used or may use. Keep a record of e-mail addresses for search angels, web pages etc. • Always write down what day you send for information, names...basic contact information, including phone numbers, fax numbers, e-mail address, etc, this also helps just in case your computer has problems. Keep this in your binder / folder. #3 You might want to consider DNA testing. There is all kinds of information as to what test to use first, where those results can be transferred for free or a lower cost than buying another test, etc. It also shares how to use the results you get to find birth family. We recommend to adoptees that they do the autosomal DNA test with all three major testing companies (Ancestry, FTDNA and 23andMe). Start with Ancestry as they now have over 6 million customers tested. Fishing in all three DNA company ponds gives those searching the best chance for receiving a closer match with a biological relative. If male, they should also do the Y-DNA 37 marker test with FTDNA as it sometimes leads to the identity of the paternal surname. • Use this email only for your registry / search purposes. • Get a STRONG spam blocker. You will receive alot of Spam from search engines, guest books, message boards - you name it. • Add them to your note book so you can easily keep them up to date. • Again, You should have a dedicated e-mail address! • Try to join a "group or groups", that specializes in searches for the state you are searching in or that is specific to the agency that handled the adoption. So often you really need to hook up with people that really know the ins and outs of certain locations / locals. • Check message boards, and leave messages. 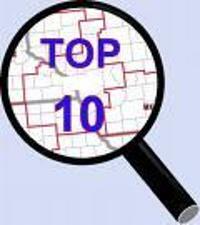 #6 Try to get as much info from the state and county as you can. Send for your non identifying info from the State and County agencies that handled the adoption. Your best odds is with the County the adoption was finalized in. • Age of the birthparents at time of child's birth. • Heritage of birthparents, which includes national origin and race. • Medical history of family members given at time of adoption. • Number of years completed in school. • Hobbies, interests, and occupation if birthparents were working. • Physical description of the birthparents at the time child was adopted, height, weight, and color of hair, eyes, and skin. • Other children of the birthparents, if applicable. It will normally tell if the older children were adopted out as well, or lived with grandparents, or were with birthparents. • Information relating to whether or not each birthparent was alive at time of child's birth, and if birthfather or birth mother was in the military. • It will normally mention reasons child was placed for adoption by the birthparents. • Other children of the adoptive parents and whether or not they were natural children or also adopted. Not all states offer everyone non identifying information. Some are very complete, while others may not be. Make sure that the names are spelled correctly on the form. We want to make sure the Search Angels are not wasting their time looking for the wrong name or names. Be sure to place a "consent to contact" notice with the agency and the court the adoption was finalized with. Be sure to keep these up to date. You can do this by contacting the adoption agency and they will advise how to leave information. Have a letter with your phone number, email and address and have it copied so that you can send or give one to the state and county the adoption was finalized in. Ask your contacts at these places who else they would recommend you send the letter to. This way if someone is looking for YOU they can find you right away. If you move or change the information in your original letter- SEND NEW ONES!! This is good information to have in your binder... who you sent these letters to originally! It helps if they are included and they just might remember something important about the birth family or adoption that will help. I am also a firm believer that the person searching needs a good support system. For some it is helpful to journal about the process. It is a journey. There will be up's and downs. Here are some suggested books that may help your search and the processes.